– Red-crowned cranes – one of the rarest cranes in the world. The cranes are most spectacular to watch as they dance, often in pairs, with seemingly choreographed dips and jumps. The cranes are best seen in the winter as they gather at winter feeding sites. I’ve also compiled this collage showing v1 and v2 side by side, below. For your information. 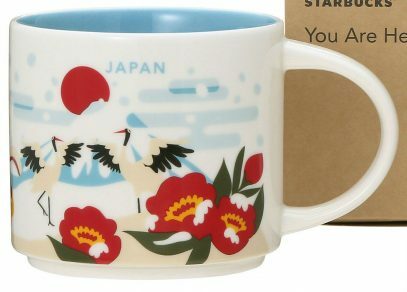 Japan will stop selling the You are here Winter Version on 14 FEB 2019. Thanks, Alan. So you think this is a limited edition? It look like it. I cannot find any more “Winter Version” around Japan no more. Japan came out with the Spring Version of the YAH. I have a feeling like the winter version, this will be a limited run. I got my mug this morning, so if you need a picture, please send me your email, and I will send a picture.